Craft Vapery Review - Curated Vaping Subscription. Rated 0 out of 5. 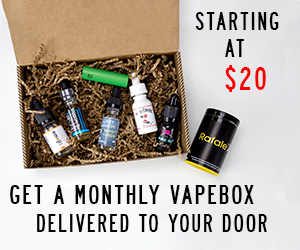 Craft Vapery is original curated vaping subscription, aiming to deliver the most convenient, personalized, and high quality vaping experience in the industry. In 2013, Craft Vapery launched the original curated vaping subscription, aiming to deliver the most convenient, personalized, and high quality vaping experience in the industry. However Pioneering the vaping subscription was just the beginning. In 2014, Craft Vapery began focusing on building the industry’s premier online shopping destination, the Craft Shop. And now in 2016, they have launched the vaping membership. Under their Craft Premium membership, there are a wide range of subscriptions to choose from – ranging from $14.99 for 2 hand-selected bottles per month to $54.99 for 8 hand-selected bottles per month. Members also get a free gift included in every monthly box, plus free shipping and 10% off prices in their ecommerce store. Users can control their charge date, write notes to their curator, add flavors to their wish list, lock in their favorite flavors, and more to ensure your daily smoke is just what you want. See Craft Vapery alternatives & other boxes people like. See other best supbscription boxes in Vaping. There are currently no reviews for Craft Vapery - why not be the first to write one and add your review below!